Today, Attorney General Sean D. Reyes helped lead a discussion with leaders from over forty federal, state, local, and tribal organizations, on the value of partnerships and other tools in combating the opioid crisis in America. You can read the official media release here. Shout out to the White House Office of Intergovernmental Affairs staff for hosting a very informative, classy, consequential event. Event begins at the 29-minute mark. Here is the breakdown of comments made in the opening forum (the smaller breakout sessions afterward were not live-streamed). 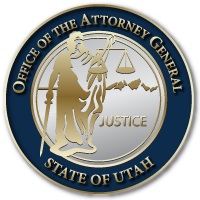 One of the highlights of the discussion – in our humble opinion – was when AG Reyes highlighted the powerful Utah partnerships that make fighting the opioids crisis a winnable effort. If you would like to get involved in the fight to free your family and community from the opioid epidemic, please contact our office. Kellyanne Conway announces https://t.co/h4zuxy4GmM as a new resource to share #opioidcrisis stories and information. Check it out. In related news, the U.S. House of Representatives passed H.R. 6, the Support for Patients and Communities Act while we were meeting today. You can read up on the bill here. Another step in the right direction. This entry was posted in Recent Posts and tagged DEA, ONDCP, Opioid Crisis, Opioid Epidemic, Opioid Task Force, trump administration, USDA, Utah Attorney General, white house on October 18, 2018 .